North Korean leader Kim Jong-un's right-hand man Kim Yong-chol, who heads North Korea's spy agency, met with the deputy director of the CIA during his three-day visit to Washington last week, the Wall Street Journal reported Monday. 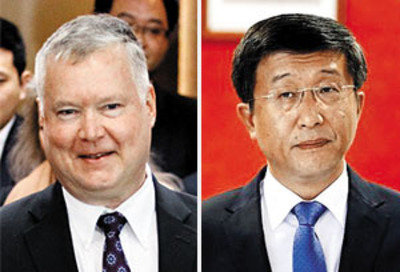 The daily said Kim Yong-chol held a closed-door meeting with Vaughn Bishop but did not say where and when exactly. The Washington Post reported last week that Kim was expected to meet CIA Director Gina Haspel, but he ended up meeting the deputy director instead. Bishop is a 30-year veteran with the CIA and was called out of retirement by U.S. President Donald Trump in August last year. The only parts of Kim's itinerary that were disclosed to the media were a meeting with Trump at the White House on Friday and talks with Secretary of State Mike Pompeo. But Kim, who was mostly holed up in his hotel room, was spotted leaving it at 7:10 p.m. on Friday, and that may have been the time when he was on his on his way to meet Bishop, according to the WSJ. The daily pointed out that intelligence channels play a bigger role than diplomats in U.S.-North Korean talks. 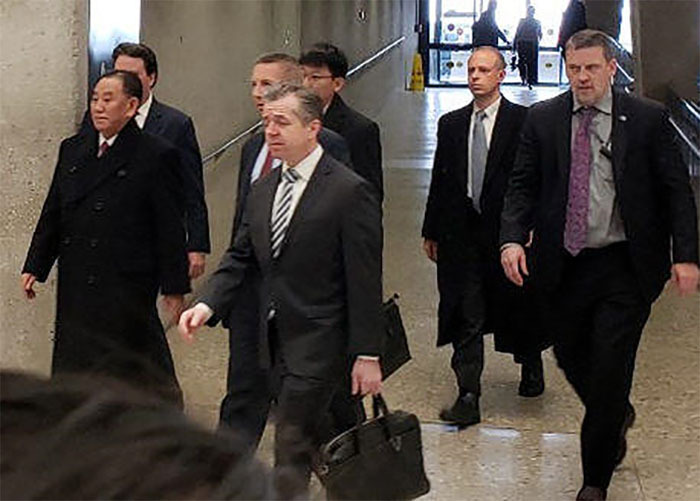 The daily quoted a former official at the U.S State Department as saying, "Generally speaking, in countries like North Korea, the foreign ministry has limited influence, so you need to be able to speak to the guys with the guns."